Full-service Interior Design company with 15 years experience in everything ranging from space planning, staging, lighting, color consulting, to design consultation. Jennings & Woldt Remodeling has earned a solid reputation in the south central Wisconsin region that is based on our exceptional service, uncompromising craftsmanship and integrity. While we guarantee superior quality results, it's our vision and depth that will leave you delighted with the outcome. More than just a surface change, or a remodeling project, we specialize in creating the spectacular. We set the stage for success by learning exactly what you want, from the most general concepts to the smallest details, and we let your vision guide the project. Your satisfaction is our mission. Jennings & Woldt has established itself in South Central Wisconsin as a trusted remodeling and decorating partner that delivers uncompromising craftsmanship and superior results in a way that is open, friendly, and highly personalized. Our code of ethics is vital to the way we do business and guides our work on each and every project. -Respect, Integrity, and Customer Care are the cornerstones of our business. And, every step of the way, we aim to inject fun and good humor. -Integrity is critically important to every aspect of every project we handle. -Having Fun in the Process! As owner and principal designer of Angie Schwab Interiors LLC, I offer a personalized service to help you customize your interiors according to your specific lifestyle. Anne Marie Design LLC is a full-service custom interior design studio serving Madison, Wisconsin, and surrounding communities. We provide all facets of interior design to homeowners and builders. 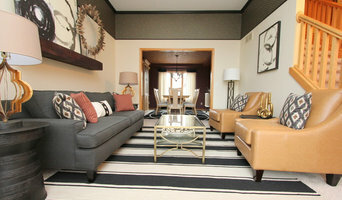 Stephanie Klein Designs, LLC is an interior design studio serving Madison, Wisconsin and the surrounding communities. We provide interior design to both homeowners and builders/remodeler for Kitchen and Bath Design, Space Planning, Color Consultation and Paint Selection, Furniture Layout, Organizing Closet Systems, and Window Treatments. The work of a professional can make all the difference. Whether your home has 10 bedrooms, or your apartment is 800 square feet, it can be tricky to create a cohesive look that is representative of your style. That's where a local Cottage Grove interior designer comes in. A home decorator will help distill your tastes and ideas into a design that suits the needs of your space. Whether you need help creating a functional space plan, rearranging existing pieces, designing the inside of a new home, or simply sourcing amazing furniture and decor, seeking the help of professional interior designers and decorators in Cottage Grove, WI is a must. A good home design professional will hone your style down to its very essence and be able to choose a functional layout that feels natural to you. Interior design companies can be involved as much or as little as the client desires. Many clients who hire an interior decorator in Cottage Grove, WI — particularly those who are remodeling — have a good sense of how the room should look and what products they should use. Often clients will insist that interior decorators use the products already present in the house. Other times a designer will need to start from scratch — especially if this is a newly purchased or just-built home. An interior design company will need to figure out exactly what the client needs, which includes organizing rooms, picking flooring and wall colors, and finding furniture to complement it all. Sometimes that means he or she will have to recruit help from other Cottage Grove, WI home professionals to help create the perfect look for your renovation. Here are some related professionals and vendors to complement the work of interior designers & decorators: Architects & Building Designers, General Contractors, Home Builders, Design-Build Firms, Photographers. Do your research before meeting with an interior designer or home decorator in Cottage Grove, WI. Ask yourself what you want your space to become and what it will be used for. Figure out the extent of what you need help with, what your must-haves are and what your budget is. Interior design services can add up fast, so be up front with a potential design firm or individual from the beginning. Also, pick an interior decorator that fits your style. Browse through the portfolios of different Cottage Grove interior design firms and decide if you would live in those houses. Just because you like something doesn’t mean you could live in it. There's a big difference! Find an interior designer or home decorator in Cottage Grove, WI on Houzz. 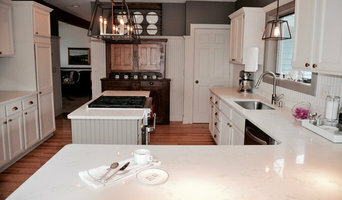 Narrow your search in the Professionals section to find Cottage Grove interior designers near you. You can also look through Cottage Grove, WI photos to find a room you like, then contact the design firm who designed it.